Jake Wightman won the New York Fifth Avenue mile on Sunday, with fellow Scot Neil Gourley third. Wightman, 24, took victory in the event for the first time, holding off two-time Olympic medallist Nick Willis of New Zealand with a time of 3:53:3. 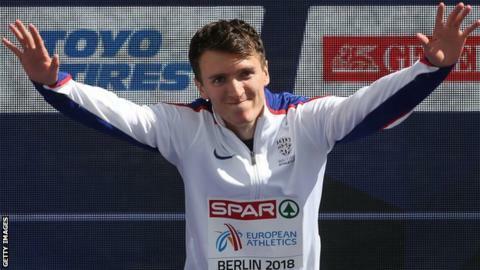 It caps off a fine year for the Scot, who won bronze in the 1500m at both the European Championships and the Gold Coast Commonwealth Games. "Delighted to tick off a bucket list win," Wightman said on Twitter. He added: "2018 has been a good one to me, but I'm glad this long season can now come to an end." American Jenny Simpson won the women's race for a seventh time.